Worship with us on Christmas Eve and Christmas Day! 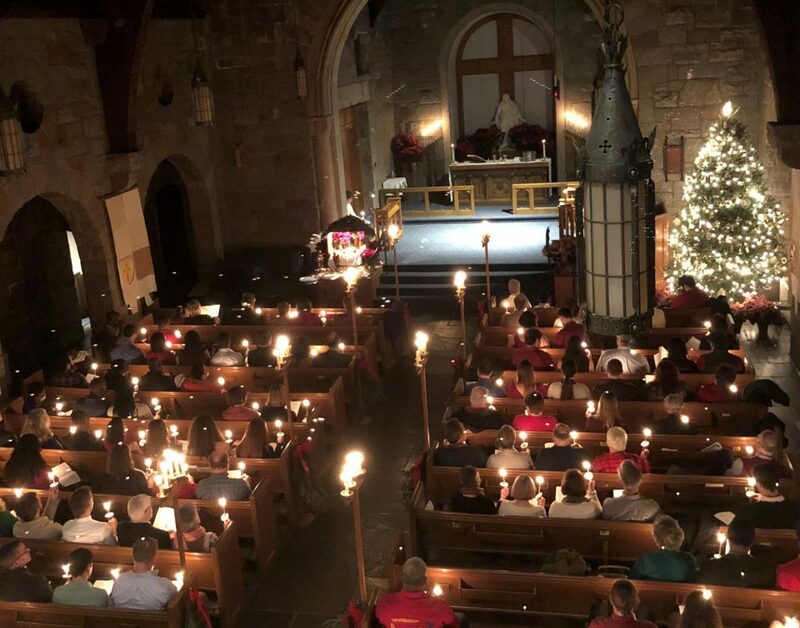 On Christmas Eve, we will gather at 4:00 PM for a family friendly, child centered service featuring carols and the telling of the Christmas story. At 7:10 PM a prelude featuring the Saint-Saens Christmas Oratorio will begin. Then at 7:30 PM, we will celebrate the birth of Jesus with Holy Communion, candlelight and lots of carols. On Christmas Day we will gather at 10:30 AM to hear the good news of Jesus’ birth from the prophets and the gospels. Sing your favorite Christmas carols and feast at God’s table. After worship, we’ll celebrate Jesus’ birthday with a cake!